After a five hour delay and an erratic taxi drive through some pretty ropey areas of the Moldovan capital, I arrived at my Communist-era hotel in a pretty foul mood. I dumped my bags in my room and ran my fingers along the wall-to-wall carpet, but even this crime to interior decoration failed to raise a smile. 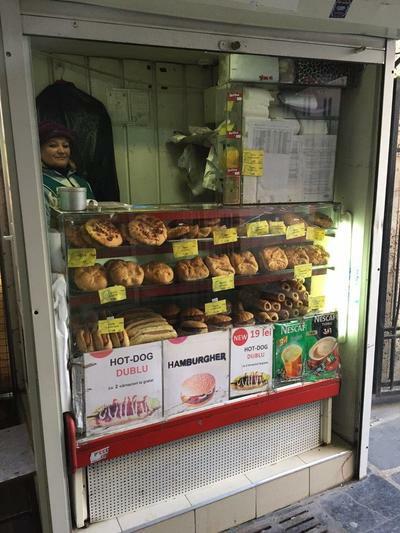 Luckily, I found a local eatery serving ‘plăcinte’ – a large, round-shaped pastry filled with ingredients such as cheese, cabbage, eggs, potatoes and onions, as well as layered variants stuffed with meat – and a couple of those sorted me out. Back at the Cosmos Hotel, I could fully appreciate its Soviet kitsch for all it was worth. 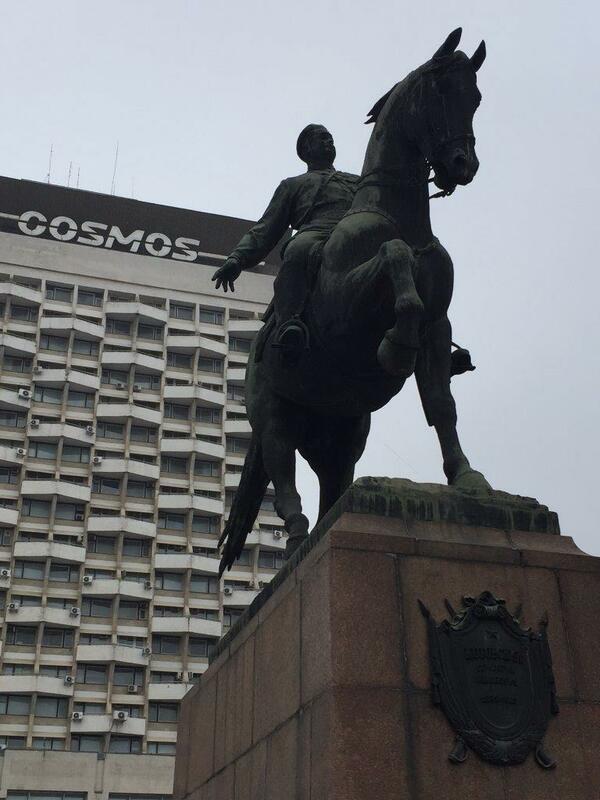 When the USSR was in full swing, I imagine the 19-storey Cosmos Hotel really impressed tourists arriving from across the Soviet Bloc. However, other than the introduction of an unreliable WiFi service, I don’t think it has changed at all since opening in 1983 – and all the better for it. My subdued room felt like something from a Communist-themed live escape game, but instead of offering clues on how to get out, fixtures and fittings delighted the senses at every turn. Tactile, Rococo-style wallpaper engulfed the room, only to be broken up by a round mirror that was framed by a layer of thick carpet. Directly opposite the stiff bed was a piece of lenticular artwork that depicted a seaside scene, which seemed odd considering Moldova is landlocked. Regardless, its 3D effect was a joy to view from every angle and reminded me of something my Nana would’ve hung in her living room in the late 1980s. Regardless, all the staff I met were lovely and if you prefer a hotel with character, I cannot recommend Cosmos Hotel enough. 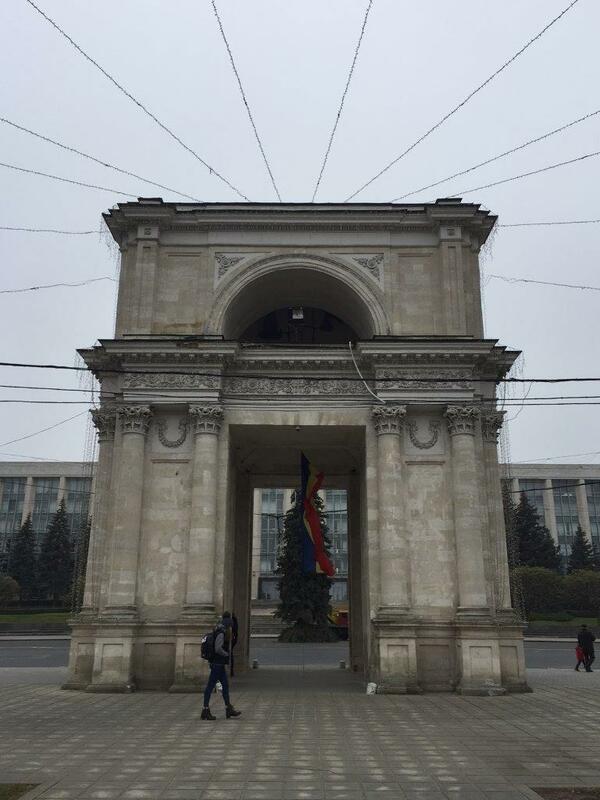 On first glance, Chisinău doesn’t feel like an obvious city break destination. Its streets are hardly paved with gold, if at all – I think I walked along half-finished walkways and rubble more than I did actual pavements. Plus, even crossing the road felt like I was dicing with death. Close to the derelict and modernist National Hotel, pitch black tunnels pass underneath Bulevardul Ștefan cel Mare și Sfînt, Chișinău’s main drag. Close to my hotel, I would see street sellers each morning offering various wares on small rugs, that hid the lack of a pavement underneath. In my own romantic way, I saw it as a bric a brac flea market, but I was later told that people are forced to sell their worldly possessions in order to put food on the table. This was a sobering reminder that I was, after all, visiting Europe’s poorest country. Chisinău feels like the Soviet Union fell yesterday and no-one’s still quite sure what to do next. However, once you get past these shortcomings and moving scenes, Chișinău reveals a capital city that oozes sights, quality eateries and is a genuine treat for any traveller. Firstly, there’s lots to see and do in the city itself. My first full day in Chișinău was spent pounding its streets, visiting everything from the Arcul de Triumf – watching over the Parcul Catedralei and its Orthodox Cathedral like a mini Arc de Triomphe – to the Parcul Ştefan cel Mare where I followed in the footsteps of Pushkin, who used to stroll the park grounds in the 1820s. Here, I admired the glorious statue of the 15th century prince and national hero, Stephen the Great. 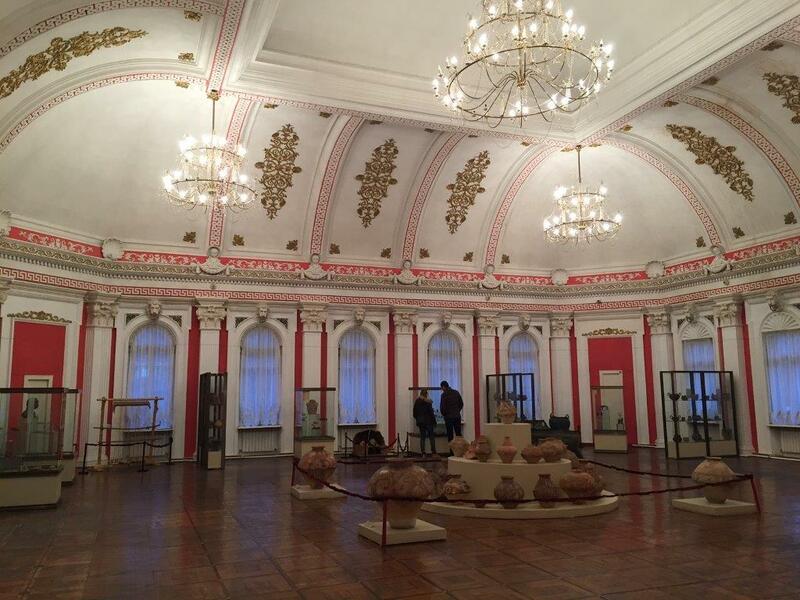 Next, I spent a couple of hours in the fantastic National Museum of History of Moldova and was able to fully appreciate the history of a country that has been annexed throughout history. From its time as part of Bessarabia and the horrors of Stalinlist repression, objects and images highlight a country that has forever been at the crossroads of conflict in Eastern Europe and is only now finding its feet as an independent country. Another place of note was the sombre Victory Memorial and Eternal Flame, which honours Moldovans who perished in World War Two. 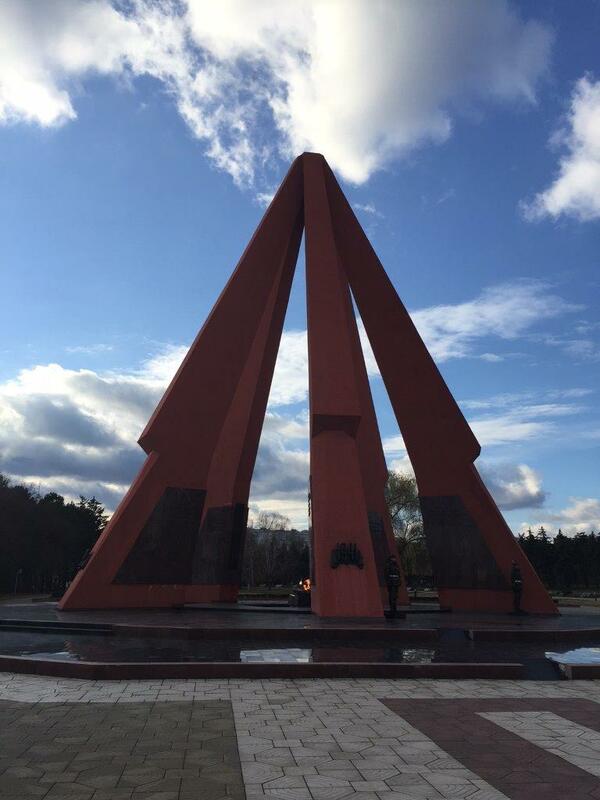 The Eternal Flame burns brightly underneath a giant Communist-era structure which is guarded by soldiers. Time your visit around the top of the hour for the changing of the guard, complete with some impressive goose-stepping and bayonets. The Victory Memoria is situated in perfectly manicured grounds that also include a World War Two cemetery and a Monument to the Victims of the Transnistrian War in 1992. 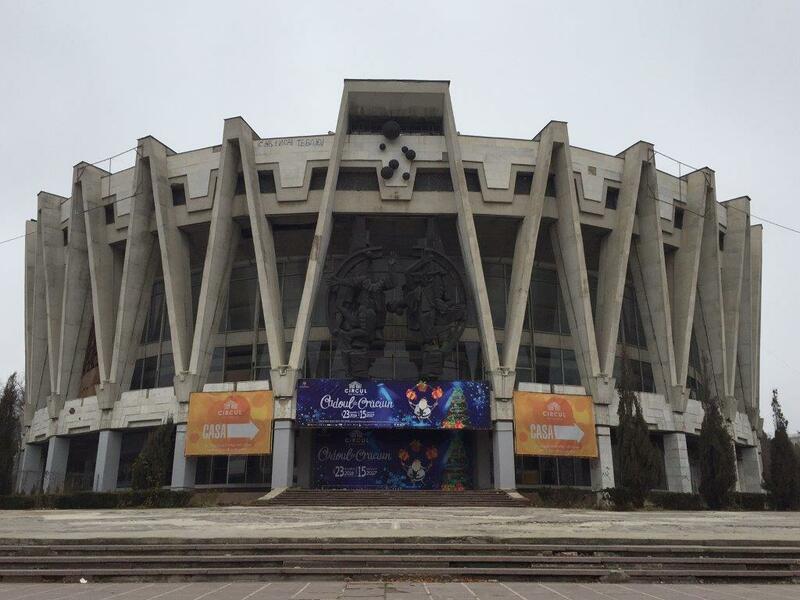 On the other side of town stands the eerie Chișinău State Circus. Opened in 1981, this Soviet-era circus appeared all but abandoned when I visited, but I understand that restoration work is going on to bring the venue back to life, so do check local listings if you visit, as it is said to be very impressive inside. There was no shortage of places to stop for a coffee or a quick snack when out and about in Chișinău either, as tiny booths on every street corner offer a freshly brewed caffeine fix, sweet treats and lots of delicious bakery items. When it came to restaurants, not only did I have one of the most succulent steaks I can remember in Propaganda Café, its décor was a ravishing feast for the eyes. 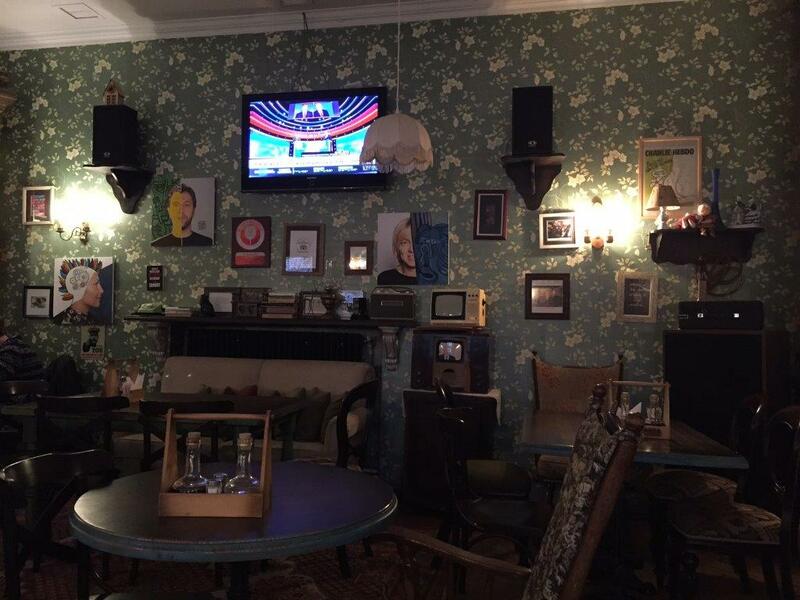 Its antique interior feels like you’ve stepped in to a Victorian dollhouse and there is something interesting to look at in every nook and cranny, from vintage television sets to contemporary artworks. Also close to the centre of Chișinău, Vatra Neamului felt like it belonged to an even older era than that of Propaganda Café, complete with themed rooms boasting imaginative names such as Artistocrat Hall, Sala Antica and Sala Regala. I asked my waiter for recommendations and soon enjoyed stewed pork served with a generous portion of mămăligă, a cornmeal polenta-like staple. ​A few hours later, I was en route to Chisinău International Airport. I was genuinely sad to be leaving Moldova; a county that had quietly charmed me during my time there.